Okay so we were on track for 7/8 after the first 5 games of Round 9... but we swung and missed on the Knights and Sharks (the latter tip hurt because well... Hayne plays for the Eels) but 6/8 in back to back weeks is nothing to sneeze at with www.wdnicolson.com's NRL Tips. 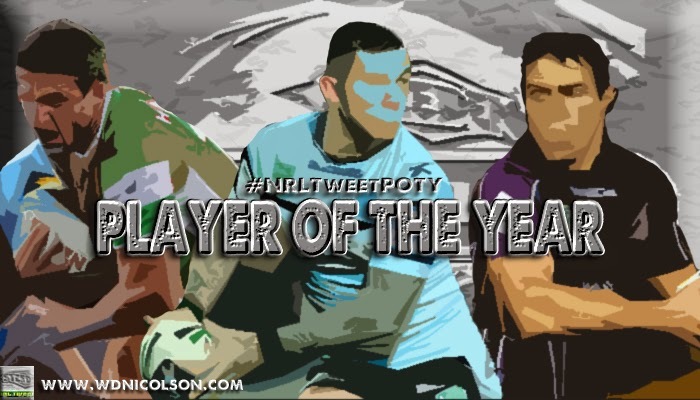 The last full NRL Round before the less than stellar portion of the year begins - is also #WomenInLeague Round where Mr Manu Vatuvei was recognised as the 2014 Favourite Son. The Postman's Late Mail IS UP NOW! 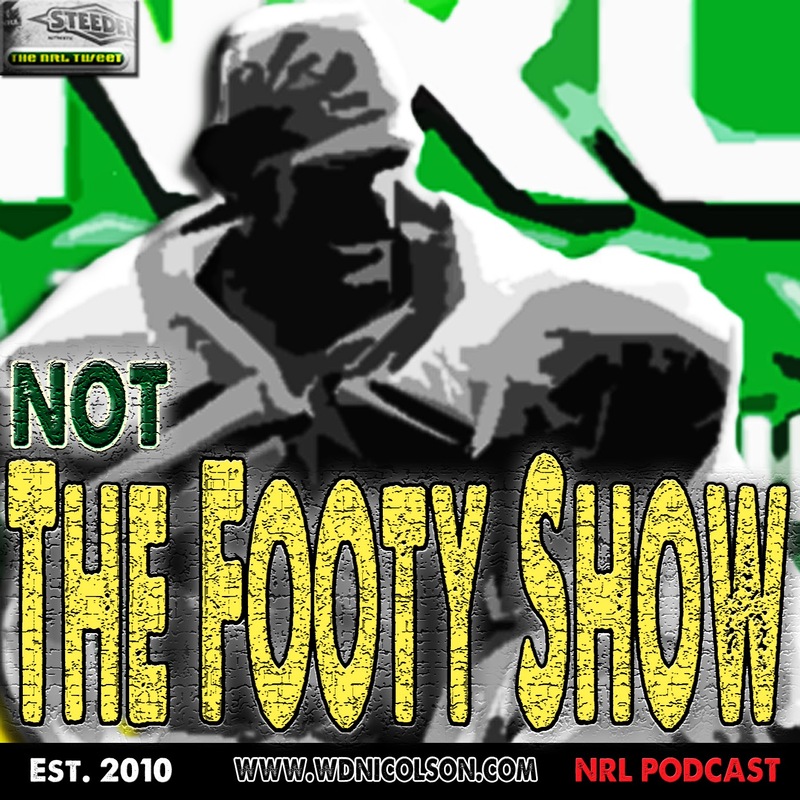 HEADS UP: We will have a new episode of NOT The Footy Show - sometime before Origin 1. So keep an eye on your iTunes Podcast folders for Episode 151 in the future. WE HOPE! Round 9 Tipping was a very solid 6/8 - So let's get to the Tips! Was initially drawn to the Storm but even as I wrote 'despite Souths crushing the Titans'... I realised I might want to in fact pick Souths. Melbourne more than capable but they must hold the starting Burgesses's and then take advantage of South Sydney's bench... but I just don't think Greg Inglis has a quiet one against his old team. Rabbitohs by 2 points. HOME - Souths will have Reynolds after he struggled through their last start against the Gold Coast. Still waiting for Tom Burgess to make the bench after a few weeks in NSW Cup. AWAY - Storm may yet move Mann to five-eighth with Romelo going back to the bench or missing out entirely. This would allow Fonua to come back into first grade or Roberts at five-eighth. To be honest I'm not giving the Titans enough respect here... I know Souths crushed them but the Broncos weren't overly impressive in Townsville. Going to roll the dice on Ben Barba having a big one... Broncos by 2 points. HOME - Brisbane lose Thaiday and QLD may as well... Kennedy back into the 17 wouldn't be the biggest shock in the world but Wallace deserves his start. Hannant misses with a groin strain, so Oates starts and Stagg joins the bench. AWAY - Titans have been hit hard with Sezer in doubt and Kelly, Gordon and Bird out. Bailey is hopeful while Fai-Fai Loa and Henry come into the 17. Benji's probably back but I'll stick with the Hayne Train... just. Eels by 2 points. HOME - Eels still have some doubt over Ma'u while Peats and Allgood should both suit up. No word yet on when Ben Smith returns. AWAY - Dragons will have Marshall once they deal with any transfer fee they have to pay to the Tigers (CONFIRMED)... Williams could still make the bench if Marshall plays as insurance. 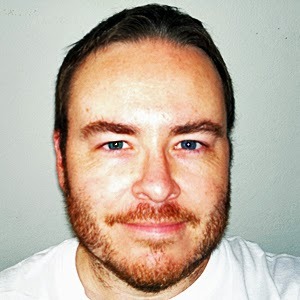 Cooper is said to be coming in for Stockwell despite the Dragons saying Cooper was injured on Tuesday and not dropped. Nightingale is still in doubt. Farah is back and I should be picking the Tigers... in fact, give me a day or two and I probably will. But right now - Cronulla at home... maybe. Sharks by 4 points. HOME - Sharks hope Carney can play but if they do play him then they obviously realise this is a massive game to stay in the Top 8 race despite only 10 rounds being played. He will almost certainly play. AWAY - Tigers will get Farah back, while Anasta and Sue should both play. Pearce is a loss... but I'm leaning more toward the genius of JT vs the loss of Pearce. Killer here is I rate the Roosters far higher than the Cowboys so like the above tip - I could be changing come Friday. Sorry for the fence-sitting but it's one tough round to pick. Cowboys by 2 points. HOME - Cowboys probably get T Sims and Taumalolo back but neither are certainties - Winterstein and Thompson will be game time decisions with Feldt and Lui likely on standby. AWAY - Roosters probably took an extra player or two to Townsville but SBW may yet start in the backrow despite being named at 6. Yes... Canberra. Panthers lose every second game so who am I to go against statistical trends? Oh Canberra got beat by 50 two weeks in a row huh? Okay... stuff stats, going with the gut feel here if Cornish actually plays. Raiders by 2 points. HOME - Raiders - sorry no idea. When you name an 8 man bench it is fair to say the coach is keeping his options open. AWAY - Panthers will take Grant to Canberra with Simpkins probably 18th man. Taylor is likely another week away. Tasty matchup if the Warriors hold the ball early... Canterbury are going to get beat sooner or later but you have to respect their form over the Warriors - who beat an out of sorts Melbourne and a pathetic Canberra. Dogs have won 6 straight and a few by a tiny margin. Bulldogs by 6 points. HOME - Bulldogs only have some concern over Tolman and Ennis but they should be fine. AWAY - Warriors should be 1-17. The Knights will win one of these games or a few of them before too long - but even if Manly don't get Foran, G Stewart or Lyon back as last minute inclusions - how hard is to tip against a team with such a strong will to win? Didn't see that from the Knights last weekend that's for sure. Sea Eagles by 4 points. HOME - Sea Eagles may get Lyon and Foran back with G Stewart less of a chance. Williams copped a head knock last week but should be okay. AWAY - Knights could play Jeremy Smith but Newcastle have a bye next week so he may not turn out. Uate's knee is still a worry but he will play. Leilua apparently is injured so Jake Mamo may slot back onto the wing with McManus going into the centres. Rabbitohs by 2, Broncos by 2, Eels by 2, Sharks by 4, Cowboys by 2, Raiders by 2, Bulldogs by 6, Sea Eagles by 4. MEL +6.5, GLD +6.5, PAR -2.5, CRO -3.5, NQL +2.5, CAN +4.5, CBY -2.5, NEW +7.5.